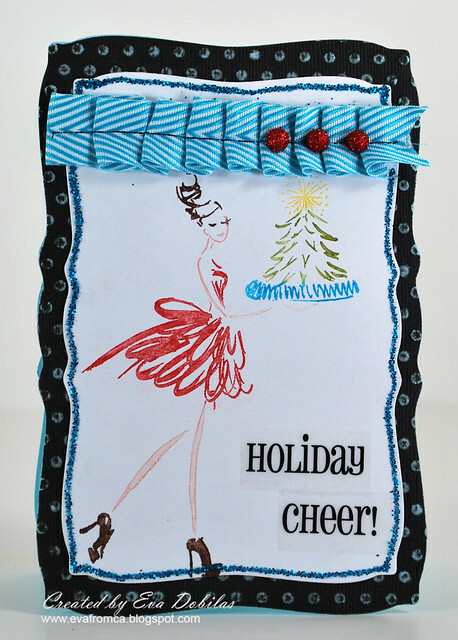 I received a couple of amazing Christmas stamps and I had so much fun creating with them (thanks Penny Black!) and here are the two cards I made with their stamps. My first one is more of a traditional look and I really love the way this turned out. I wanted to try monochromatic coloring on my image and I think it's cute. What do you think? My card shape was cut out with my Silhouette, of course, the snowflakes are Maya Road chipboard pieces that I covered in glitter, except for the large snowflake, which is by Melissa Frances and it soooo yummy! Ohhh...and how do you like my snow? I created it with Tulip Puffed paint...sooo fun!!! Isn't this image soooo sweet???? I just love this little girl feeding her goose! My second card is more of a modern design with bright colors! Another amazingly gorgeous image, but with a different look! I used my Spellbinders to create the shape of the card and Core'dinations papers, which I embossed. For my sentiment I used SRM Stickers, I just thought that sentiment and font fit perfect this fun image! Well, now make sure you check out our Sponsor's Website, which you can find by clicking below. They have such adorable new images in their newest catalogs for both Halloween and for Christmas! 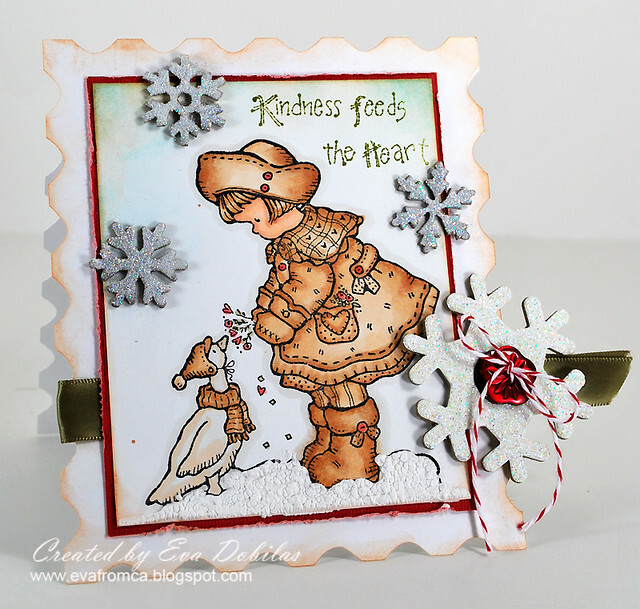 And now, if you didn't arrive here from Caardvarks, you want to hop on there to check out the other design team member's creations AND to find out how you can play along in our challenge and WIN some AMAZING Penny Black stamps!